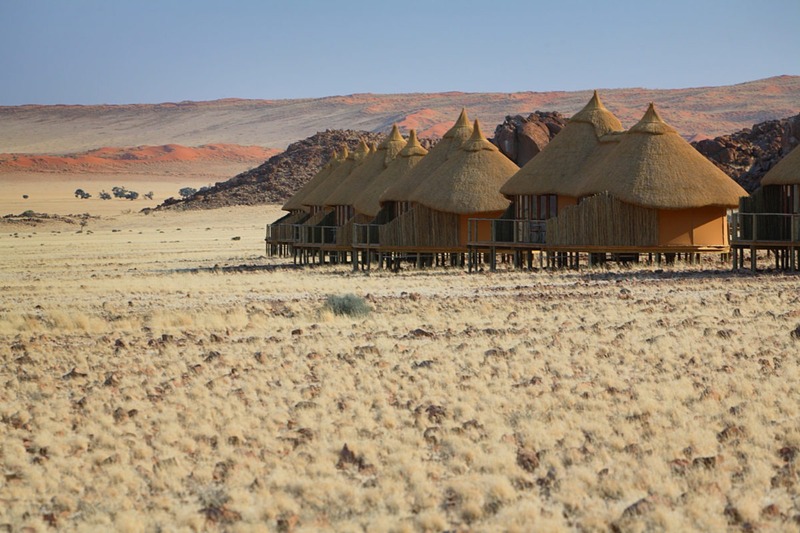 "Perfect location for an exclusive Sossusvlei experience"
Sossus Dune Lodge is the only accommodation located inside Namib-Naukluft Park at Sossusvlei. 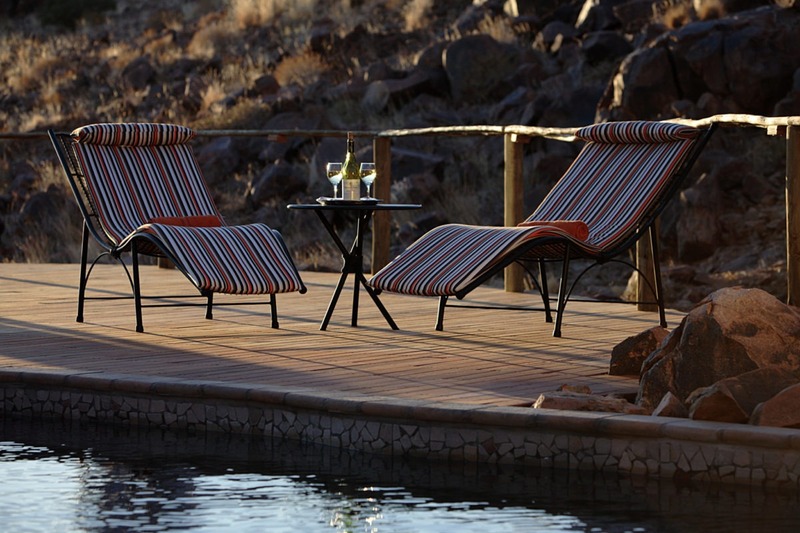 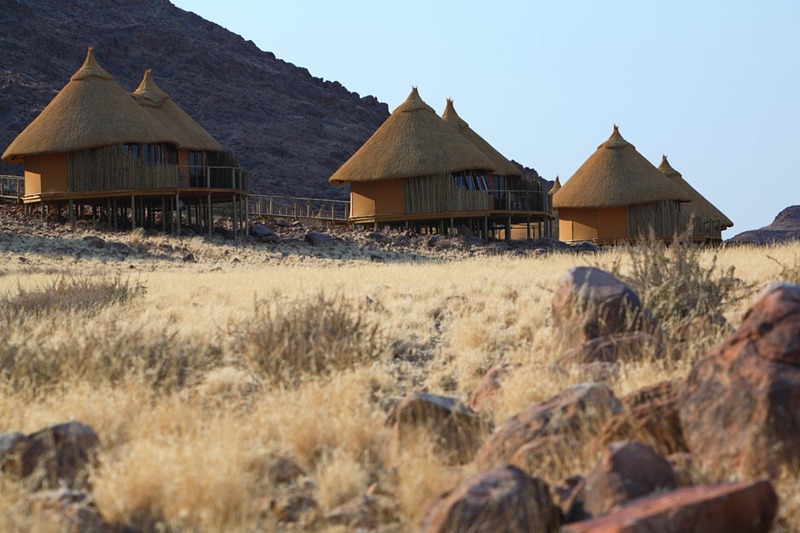 Providing convenient access to the Sossusvlei and Sesriem Canyon, Sossus Dune Lodge enables its guests to experience the Sossusvlei dunes outside the regular visiting hours. 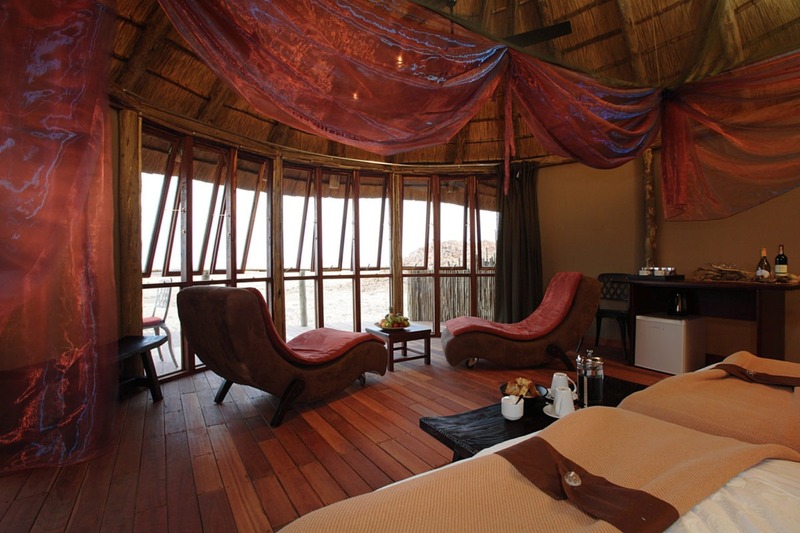 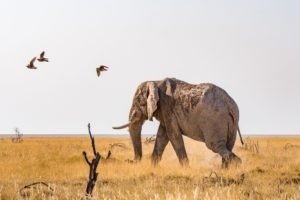 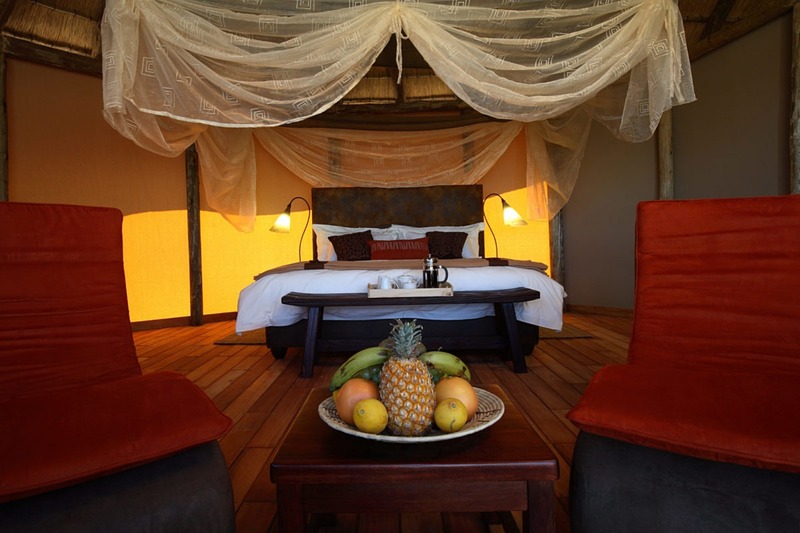 The lodge is operated by the park’s authority and has been built in an environmentally sensitive manner, primarily from wood, canvas and thatch aiming to recreate the feel of traditional Ovambo huts. 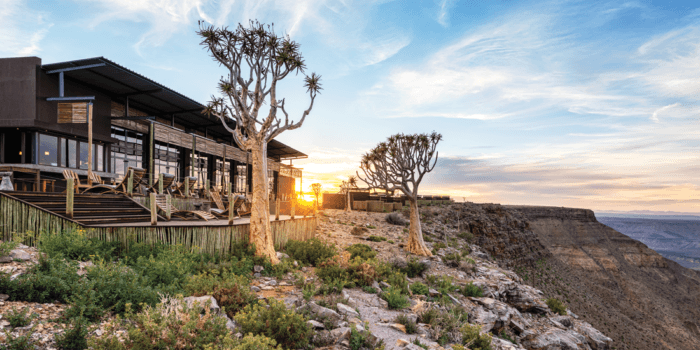 Set in remote surroundings at the foot of a mountain guests are accommodated in 25 spacious chalets – 13 on the left of the main area, with views of the dunes; and the remaining 12 chalets, on the right of the main area, having a view of the mountains and Sesriem Canyon. The thatched chalets and the main area are all linked by raised wooden walkways. 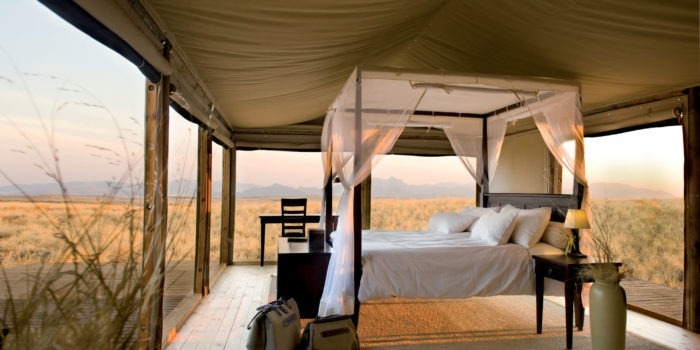 Floor-to-ceiling glass windows enable guests to fully immerse in the Namibian desert. 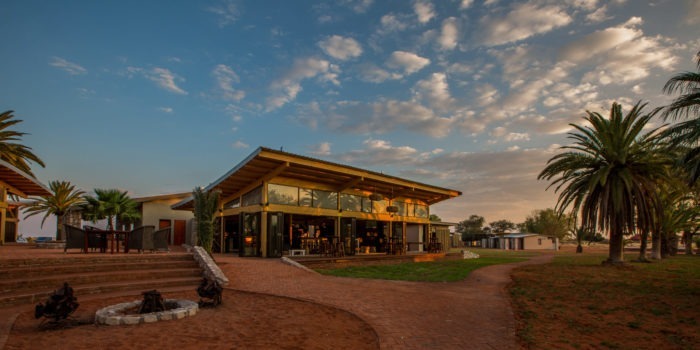 The floodlight communal area offers an open-plan restaurant, a lounge and bar and a sundeck with the swimming pool. 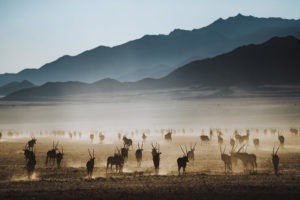 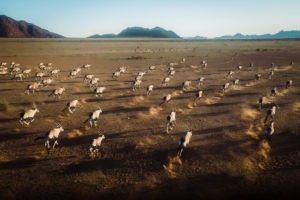 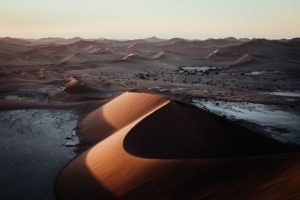 Guests, especially photographers, benefit from being able to reach Sossusvlei before sunrise and to stay until after sunset. 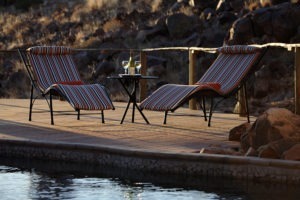 Activities include scenic nature drives, sunset drives and guided walks to Sesriem Canyon. 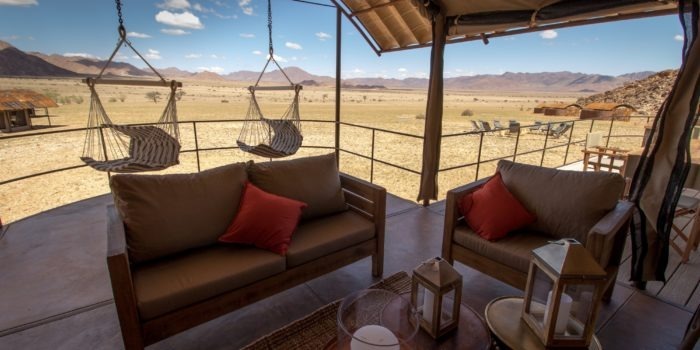 On return after an exhilarating day you can relax in the tranquility and splendor of the Namib Desert, and enjoy the spectacular African sky at night. 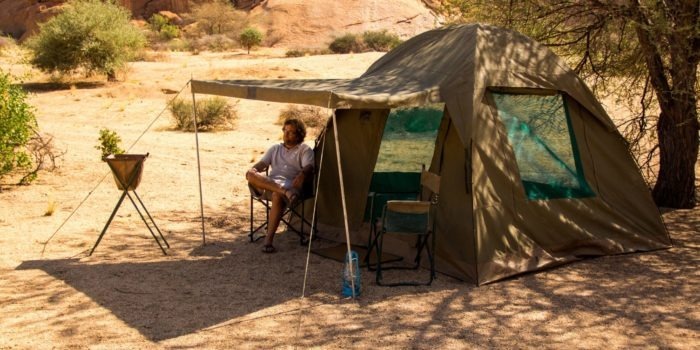 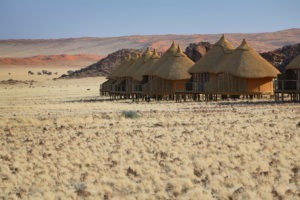 Unique location enabling guests early and late access to Sossusvlei. 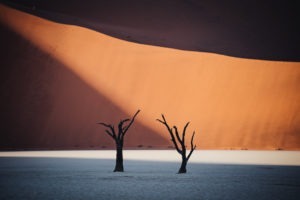 Perfect for photographers wanting to beat the crowds and catch the best light. 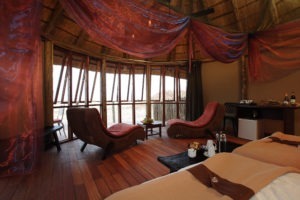 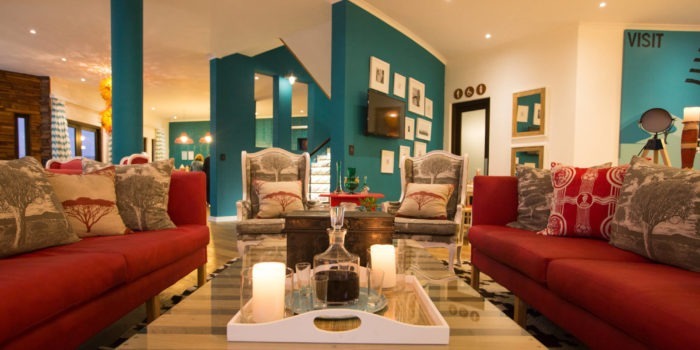 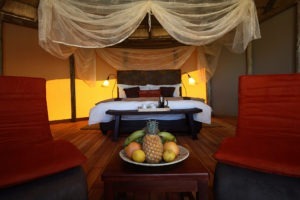 Eco-friendly and designed in a traditional African-Style. 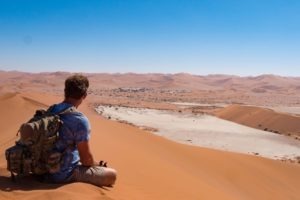 Unique activities in the astonishing desert landscape.